The University of Western Australia has cancelled a booking for the Australian Family Association featuring anti-transgender Dr Quentin Van Meter, citing safety concerns. Vice-Chancellor Professor Dawn Freshwater address all students and staff with a letter explaining that the event would not continue after assessment from the University Campus Management team. “We have been advised the risk surrounding the event has been elevated to a higher level, which mandates a more robust event management plan,” Prof Freshwater wrote. Professor Freshwater says the event’s organisers were unable to provide the aforementioned items by 5pm Thursday 16th August. The event faced much resistance from the LGBTI+ community, students, staff, and other universities who condemned UWA’s decision, due to Dr Van Meter’s affiliation with the American College of Pediatricians – a small group of conservative doctors described as a hate group by the much-respected Southern Poverty Law Centre. Vice-Chancellor Freshwater says the university continues to honour principles of freedom of expression. 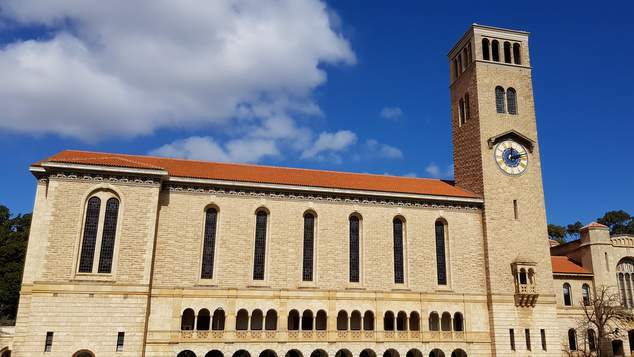 “The University holds firm on the principles of freedom of expression and maintains its position that it does not wish to set a precedent for the exclusion of objectionable views from the campus,” Prof Freshwater writes.